REPORT OF A PEDESTRIAN HIT BY A CAR -- POSSIBLY A BICYCLIST OR A VEHICLE OCCUPANT DOWN ON GROUND AFTER A CRASH. CREW UPON ARRIVAL REPORTS ONE PERSON DOWN ON GROUND. ONE LANE OPEN ON BARLINA RD. POSSIBLE ACCIDENT INVESTIGATION SCENE. WESTBOUND LANE OF BARLINA RD OBSTRUCTED. ONE PATIENT TRANSPORTED TO CENTEGRA WOODSTOCK. E344 ACCOMPANYING AMBULANCE TO HOSPITAL. REPORT OF A PERSON IN THE WATER -- JUMPED IN THE RIVER NORTH OF THE NORTH AVE BRIDGE. BC3 REPORTS THE SITUATION APPEARS TO BE BONA FIDE BUT THAT THE PERSON HAS NOT BEEN LOCATED AS OF 10:38 AM. 6-8-6 REQUESTING AN ETA FROM 6-8-8 AND RESCUE HELICOPTER 6-8-2 AT 10:39 AM. 6-8-8 COMING THROUGH THE LOCKS AT 10:40 AM. EXTRA LADDER TRUCK REQUESTED (T19). VICTIM FOUND BY 10:54 AM -- WORKING FAST TO PULL VICTIM OUT OF THE WATER ON THE WEST AND NORTH SIDE OF THE BRIDGE. TRUCK(S): T10 T19 TL ?? EMS: A53 FC ?? STANDBY A ?? POLICE REPORT OF A FIRE WITH MULTIPLE EXPLOSIONS AND PLUME HEADING SOUTHEAST WITH NORTHWEST WINDS. A167 ON ANOTHER CALL REPORTS A "CAR FIRE" FROM A DISTANCE AT ABOUT 1:16 AM. POLICE ON ARRIVAL REPORT FIRE IS NEAR MP 77.7. ROLLOVER TANKER TRUCK FIRE INVOLVING "REGULAR" GAS. ALL LANES CLOSED DOWN ON EB I-90 BY 1:22 AM. BC13 ASSIGNS E154 TO RESPOND TO PROTECT ROSEMONT ELEMENTARY SCHOOL AFTER A REPORT OF EMBERS FROM THE TRUCK FIRE REACHING THE ROOF OF THE SCHOOL AT ABOUT 1:23 AM. ROSEMONT HAS A DECK GUN ON THE FIRE. BACKUP EXTENDED TO ABOUT MANNHEIM RD. RAMP TO I-190 EXPECTED TO BE CLOSED UNTIL 6 OR 7 AM. REPORT OF 3 PEOPLE SHOT INITIALY REPORTED AT 1627 E 69TH ST. CREW ON ARRIVAL REPORTS 3 SHOT ON SCENE AT 12:04 AM. 3 VICTIMS IN THEIR 20S. ONE PATIENT TRANSPORTED CODE RED TO NORTHWESTERN (A70). A70 TRANSPORTING ONE ADULT FEMALE CODE RED TO NORTHWESTERN. A38 (A37?) TRANSPORTING ONE ADULT MALE CODE RED TO COOK COUNTY. A38 TRANSPORTING ONE ADULT FEMALE CODE YELLOW TO COOK COUNTY -- POSSIBLY DIVERTED TO ST BERNARD. EMS: A70 A37 A38 FC458 A63? REPORT OF A PERSON IN THE WATER FELL OUT OF HIS ROW BOAT ABOUT 100 FEET OUT. TRYING TO GET BACK IN ROW BOAT, BUT IS STRUGGLING. CREW ON ARRIVAL REPORTS TWO LIFEGUARDS RESCUED AFTER ONE LIFEGUARD WAS ATTEMPTING TO RESCUE ANOTHER LIFEGUARD. BOTH LIFEGUARDS REPORTED TO BE STRUGGLING WITH LIFEGUARD BOAT. DIVE RESCUE (MCHENRY) MCHENRY TOWNSHIP FPD ENROUTE TO THE 2000 BLOCK OF WOODLAWN PARK RD FOR A DIVE RESCUE / SWIFT TEAM INCIDENT. DIVE RESCUE/SWIFT WATER RESCUE/SEARCH OPERATION. MISSING ELDERLY WOMAN, WHO HAD BEEN MISSING SINCE ABOUT 5:30 AM, WAS FOUND SAFE AND UNINJURED IN THE NEIGHBORHOOD NEAR HER OWN HOUSE. MABAS DIVISION 5 BOX ALARM (2ND LEVEL) ON BOX #5-1288 FOR A "WATER-RELATED INCIDENT" AT 11:05 AM. RECOVERY OPERATION BY 11:19 AM. VIDEO: LARGE SUV AND SEDAN CRASH AT ENTRANCE POINT OF EXPRESSWAY RAMP. CRASH WITH INJURIES SB ROUTE 53 AT PALATINE RD. CREW REPORTS CRASH IS ON SB ROUTE 53 JUST NORTH OF PALATINE RD. 4TH AMBULANCE REQUESTED AT 7:43 AM. 6 PATIENTS TRANSPORTED TO AREA HOSPITALS. REPORT OF A BUILDING ROOF COLLAPSE. HAZMAT RESPONSE FOR A CHEMICAL INCIDENT AT A HOTEL RESORT SWIMMING POOL. MABAS DIVISION 4 BOX ALARM ON BOX #?? FOR A CHEMICAL SPILL AT ABOUT 6:28 PM. REPORT OF A PERSON SHOT IN THE STOMACH AND THE HAND. REPORT OF A CRASH WITH INJURIES WITH PATIENTS UNCONSCIOUS IN ONE VEHICLE. SEMI-TRAILER TRUCK FIRE. TRAILER LOADED WITH POPCORN ON FIRE. TRAILER DISENGAGED FROM THE TRACTOR, AND IS FULLY-ENGULFED. TRAILER IS OPEN AND FULLY-ENGULFED. REPORT OF A STOREFRONT CHURCH BUILDING FIRE -- UNOCUPIED? BC22 REPORTS A 1-STORY ORDINARY, 20X40 STOREFRONT WITH A FIRE. PRIMARY AND SECONDARY SEARCH COMPLETE AND CLEAR AT 3:34 PM. BC 2 REPORTS COMPANIES ON SCENE ATTEMPTING TO CRIMP THE LINE -- A ONE INCH FEEDER LINE PUNCTURED. BC 2 REPORTS ONE 2 1/2-INCH LINE ON STANDBY. MABAS DIVISION 25 BOX ALARM ON BOX #1203 FOR A MULTPLE-INJURY CRASH. REPORT OF A PORCH COLLAPSE. 4 PEOPLE TRANSPORTED WITH APPARENT MINOR INJURIES TO EVANSTON NORTHSHORE HOSPITAL AND PRESENCE ST FRANCIS HOSPITAL. MULTIPLE PEOPLE TREATED AT THE SCENE WITH MEDICAL RELEASES. MABAS DIVISION 10 BOX ALARM ON BOX # FOR A CRASH WITH INJURIES. DESCRIBED AS A CRASH AT BROOKFIELD ZOO WITH STAGING AT GOLF VIEW RD AND 31ST ST. ZOO COMMAND REQUESTING 2 ADDITIONAL AMBULANCES AFTER EMS BOX ALARM -- THEN FILLS OUT THE 2-11 EMS BOX. BERWYN 907, HILLSIDE 400 EN ROUTE. WESTERN SPRINGS AMBULANCE ALSO RESPONDING. PATIENTS BEING TRANSPORTED TO LOYOLA AND HINSDALE. CHANGE OF QUARTERS: TRI-STATE AMBULANCE? MABAS DIVISION 27 BOX ALARM ON BOX #513 FOR A DUMPSTER FIRE WITH EXTENSION ON ORDERS OF E50. 5-STORY APARTMENT BUILDING WITH EXTENSION. REPORT OF A MAN THAT DOVE OUT OF A CANOE INTO LOON LAKE TO RETRIEVE A CAT THAT JUMPED IN THE WATER. CANOE POSSIBLY CAPSIZED AND TOSSED TWO REMAINING PEOPLE IN CANOE INTO LAKE. TWO PEOPLE SAFE (POSSIBLY WITH IMMEDIATE CITIZEN RESCUE); 1 MAN MISSING. LAKE SHORE DRIVE BLOCKED AT ROUTE 83. SONAR TECHS CALLED UP TO THE SCENE OFF OF VILLA RICA AT 8:53 PM. SUSPENDING DIVE OPERATIONS, AND SWITCHING TO RECOVERY MODE WITH SIDE-SCAN SONAR IN THE WATER AT 9:08 PM. MALE, AGE 45, RECOVERED JUST AFTER MIDNIGHT. MABAS DIVISION 4 BOX ALARM ON BOX #21-67 AND 21-69 FOR A WATER RESCUE AT 8:03 PM. REPORT OF 2 PEOPLE SHOT. FALL FROM A CATWALK AT ARAGON BALLROOM. VICTIM IMPALED IN THE CHEST BY TWO METAL PIECES PROTRUDING FROM THE FLOOR. SECOND AMBULANCE IN CASE THERE IS A SECOND PATIENT, AND FOR EXTRA MEDICAL/EXTRICATION SUPPORT. CREW ADVISES PATIENT NEEDS TO BE EXTRICATED AT 10:40 PM. A6 TRANSPORTING ONE PATIENT TO WEISS AT 11:20 PM. T22 FOLLOWING A6 TO WEISS. A WITNESS AT THE SCENE REPORTED THE STRETCHER WAS "PASSED" ON THE "ROOF" ABOVE THE BALCONY LEVEL. REPORT OF A HOUSE FIRE WITH ALL RESIDENTS EVACUATED FROM RESIDENCE. POLICE CONFIRM A HOUSE UPON ARRIVAL. CREW ON ARRIVAL REPORTS FIRE SHOWING FROM THE D SIDE. MABAS DIVISION 1 BOX ALARM ON BOX #1 FOR CHANGE OF QUARTERS FOR A HOUSE FIRE. A32 TRANSPORTED ONE PATIENT CODE RED TO LEVEL I TRAUMA CENTER ILLINOIS MASONIC. REPORT OF A HOUSE FIRE -- 2 HOUSES BURNING. E54 CREW ON ARRIVAL REPORTS THEY'RE ON THE SCENE AT "67TH ST AND MARQUETTE" WITH A 2-STORY FRAME FULLY-INVOLVED GETTING INTO THE BUILDING NEXT-DOOR. WATER PROBLEMS REPORTED AT 7:21 AM -- GOING TO A 2-11. TWO 2-STORY FRAMES FULLY-INVOLVED 6 LINES ON THE FIRE. CAR INTO A POND NEAR EOE ELGIN O'HARE EXPRESSWAY NEAR MM 7.2. CRASH REPORTED TO BE WEST OF GARY AVE.
NO DRIVER OR VEHICLE OCCUPANTS FOUND UPON ARRIVAL. HOFFMAN SQUAD 22 HELD UP BECAUSE NO DIVERS WERE ON DUTY. REPORT OF A BURN AND SCALD INJURY. REPORT OF A 2-CAR CRASH WITH INJURIES AND ONE VEHICLE ROLLED OVER. ONE VEHICLE ON ITS SIDE IN A DITCH WITH THE DRIVER TRAPPED. FOUR PATIENTS TRANSPORTED TO ELMHURST HOSPITAL. LANES 2 AND 3 BLOCKED. ALL LANES OF TRAFFIC REOPENED BY 3:30 P.M.
TWO LINES WORKING, FIRE KNOCKED BY ABOUT 10:56 PM. PRIMARY COMPLETE ON THE FIRST AND SECOND FLOOR BY 11:02 PM. ROUND LAKE ENGINE AUTO AID. MULTIPLE INJURY CRASH WITH REPORT OF A CHILD EJECTED. CRASH INITIALLY REPORTED AS I-94 NB NEAR ROUTE 132, BUT CRASH ACTUALLY NEAR ROUTE 137. LINCOLN NAVIGATOR CRASH WITH MEDIAN WALL AT 12 MM WB I-94. TWO BOYS, AGE 11 AND AGE 12, EJECTED OUT REAR DRIVER'S SIDE WINDOW OF SUV. SERIOUS, LIFE-THREATENING INJURIES AT SCENE. POSSIBLY TWO CHILDREN EJECTED AND ONE PERSON TRAPPED. BOTH BOYS TRANSPORTED TO LEVEL I TRAUMA CENTER ADVOCATE CONDELL MEDICAL CENTER WITH LIFE-THREATENING TRAUMA. ONE CHILD HAD NO PULSE, NO RESPIRATIONS AT SCENE, BUT WAS PRONOUNCED DEAD AFTER ARRIVAL AT LEVEL I TRAUMA CENTER ADVOCATE CONDELL MEDICAL CENTER IN LIBERTYVILLE. NEWPORT ENGINE RETURNED ABOUT 9:49 AM. 5 ADDITIONAL TRANSPORTS. SOME PATIENTS TRANSFERRED OVER THE J-WALL TO AMBULANCES WAITING IN THE SB LANES. ALL VEHICLES FORCED TO EXIT AT BUCKLEY RD (ROUTE 137). WB I-94 (NORTHBOUND) BACKED UP PAST ROUTE 60. TRAFFIC OPENED UP BY 1:15 PM. TRAFFIC HIGHLY CONGESTED. REPORT OF A 3-VEHCLE CRASH. CRASH WITH INJURIES ON THE MEDIAN IN FRONT OF TARGET. CREW ON ARRIVAL REPORTS REPORTS SMOKE SHOWING FROM A BACK BEDROOM. POLICE ON SCENE REPORT HEAVY SMOKE SHOWING AT 12:05 PM. BC20 ON ARRIVAL REPORTS A 2-STORY RESIDENTIAL WITH SMOKE SHOWING AT 12:06 PM. WATER ON THE FIRE AT 12:10 PM. ENGINE(S): E52 E10 LAKE FOREST 421? MABAS DIVISION 16 BOX ALARM ON BOX #7-M FOR A GAS LEAK. HAZARDOUS MATERIAL BELIEVED TO BE A CHLORINE LEAK AT A SWIMMING SCHOOL POOL FACILITY. 7 TRANSPORTS TO EDWARD HOSPITAL AND 21 MEDICAL REFUSALS REPORTED AT 10:47 -- NOT FINAL INFO. SECOND AMBULANCE REQUESTED AT 8:48 AM. HEAD-ON CRASH NEAR A CURVE BETWEEN BURNHAM AVE AND ALICE AVE.
AARON K. DUNIGAN, AGE 18, WAS PRONOUNCED DEAD AT THE SCENE. JUAN JOSE RIVERA, AGE 56, TRANSPORTED TO LEVEL I TRAUMA CENTER ADVOCATE CHRIST MEDICAL CENTER IN OAK LAWN WHERE HE WAS PRONOUNCED DEAD AT 7:33 AM. DAVID PEDEN, 18, IS CHARGED WITH RECKLESS HOMICIDE AND AGGRAVATED DUI CAUSING DEATH, ACCORDING TO COOK COUNTY STATE'S ATTORNEY'S OFFICE. CRASH WITH ENTRAPMENT NB I-355 NEAR MM 29 -- SOUTH OF ARMY TRAIL RD. REPORT OF SHOTS FIRED WITH VICTIM FOUND NEAR CHESTER AVE AND HILL AVE ABOUT ONE-HALF MILE AWAY. MALE, AGE 15, FOUND SHOT WITH APPARENT NON-LIFE-THREATENING INJURIES, AND TRANSPORTED TO ADVOCATE SHERMAN HOSPITAL IN ELGIN. POLICE URGE CITIZENS WITH ANY INFORMATION ABOUT THIS INCIDENT TO CONTACT THE ELGIN POLICE DEPARTMENT'S GANG CRIMES UNIT AT 847-289-2507. OR BY TEXTING 847411 AND INCLUDING ELGINPD IN THE BEGINNING OF THE TEXT, ALONG WITH THE MESSAGE AND/OR TIP INFORMATION. REPORT OF A CRASH WITH INJURIES ON THE EXIT RAMP FROM NB EDENS/SKOKIE HIGHWAY TO LAKE COOK RD NEAR LAKE COOK RD. A11 CREW ON ARRIVAL REPORTS CRASH IS ACTUALLY CLOSER TO THE EDENS EXPRESSWAY -- NOW GOING DOWN TO TOWER RD FOR ENTRANCE. VIDEO: BUFFALO GROVE FIREFIGHTER/PARAMEDICS LOWER A MALE TREE WORKER WHO FELL FROM A CRANE TO THE ROOF OF A DETACHED GARAGE (VIDEO CREDIT: LARRY SHAPIRO). REPORT OF A PERSON INJURED AFTER FALLING OUT OF A TREE. TREE WORKER FELL ON THE ROOF OF A DETACHED GARAGE UP TO 40 FEET. PATIENT LOWERED TO GROUND LEVEL IN A STOKES BASKET AFTER IMMOBILIZATION AND PACKAGING. CREW ON ARRIVAL REQUESTS TL25. ROLLOVER CRASH WITH INJURIES. CRYSTAL LAKE HELD UP BY CARY E241. REPORT OF A FIRE IN THE BASEMENT. CREW ON ARRIVAL REPORTS LIGHT SMOKE INSIDE. ALL RESIDENTS EVACUATED BY 9:52 AM. WATER ON THE FIRE AT 9:54 AM. FIRE KNOCKED AT ABOUT 9:57 AM. PRIMARY SEARCH ON FIRST FLOOR AND BASEMENT ALL CLEAR. CRASH WITH MINOR OR NO INJURIES. MABAS DIVISION 5 BOX ALARM ON BOX #5-1351 FOR A MULTIPLE INJURY CRASH. STAGING AT SCENE IN THE STRIP MALL PARKING LOT. CRASH WITH INJURIES AND A GAS LEAK ON MILWAUKEE AVE JUST NORTH OF LAWRENCE. INITIALLY REPORTED AS 4920 N MILWAUKEE. E108 CREW REPORTS A CAR INTO A POPEYES CHICKEN WITH A GAS LEAK. REPORT OF A HOUSE FIRE. STABBING VICTIMS AT THE SCENE OF THE FIRE. SOME MESSAGE INITIALLY HAD STABBING AS A SEPARATE INCIDENT. CREW ON ARRIVAL REPORTS A 1 1/2-STORY WITH A FIRE. STABBING VICTIM AT 117TH ST AND JUSTINE -- NOT INITIALLY KNOWN WHETHER CONNECTED TO THE FIRE AT 11:19 AM. E75 ASSIGNED TO RESPONDED TO STABBING AT 117TH AND JUSTINE WITH A17. E75 RESPONDS TO STILL AND BOX AFTER RELEASE BY A17 AT 11:25 AM. A17 TRANSPORTING ONE PATIENT CODE RED TO CHRIST FROM THE FIRE BUILDING AND A STABBING. A60 TRANSPORTING ON PATIENT CODE YELLOW TO METRO SOUTH FROM THE FIRE BUILDING AND A STABBING. BC4 REPORTS LADDER TO THE ROOF, 2 LINES ON THE FIRE, 3RD LINE BEING DRAWN BY THE SQUAD, WATER ON THE FIRE, JUST STARTING TO MAKE PROGRESS AT 9:27 AM. REPORT OF A PERSON DOWN NEAR THE EAST SIDE OF JACKSON BLVD ON A CATWALK AND THE BODY LOOKS "BUSTED UP." 5-1-5 REPORTS THEY DO HAVE A VICTIM ON THE CATWALK, AND THEY ARE TRYING TO GAIN ACCESS TO THE PATIENT AT 7:42 AM. 5-1-5 REPORTS THE VICTIM APPEARS TO HAVE FALLEN OFF THE BRIDGE ONTO THE CATWALK AND WILL BE HOISTED UP WITH A STOKES BASKET AND BACKBOARD. SECOND AMBULANCE NEEDED AT 300 LOWER WALKER DRIVE. PACKAGING PATIENT AT 7:55 AM. A41 TRANSPORTING A PATIENT CODE RED WITH TRAUMATIC INJURIES TO STROGER. E1 CREW FOLLOWING FOR ADVANCED LIFE SUPPORT. REPORT OF A PERSON SHOT -- POSSIBLY A SECOND PERSON SHOT. ONLY ONE PERSON FOUND SHOT. ROLLOVER CRASH WITH INJURIES. NO EXTRICATION. A2 ON ARRIVAL REPORTS TWO VEHICLES INVOLVED IN A CRASH; ONE VEHICLE ON ITS SIDE. REPORT OF SHOTS FIRED AND A PERSON SHOT. OFFENDERS DESCRIBED AS WEARING A BLACK HOODIE AND A WHITE HOODIE. CREW ON ARRIVAL REPORTS A GARAGE FIRE IN THE BACK. BC19 REPORTS AN ALLEY GARAGE, 20X20, FULLY-INVOLVED. REPORT OF A FIRE IN A COMMERCIAL MULTI-BUSINESS BUILDING WITH A GROCERY STORE. ADDRESS CORRECTED TO 7550 MAY ST.
E129 CREW ON ARRIVAL REPORTS SMOKE SHOWING. TL39 TO COME DOWN MAY FROM THE NORTH. HEAVY SMOKE SHOWING, LEADING OUT WITH TWO 2 1/2-INCH LINES AND TWO AERIALS GOING TO WORK. THIRD ENGINE TO BACK DOWN FROM RACINE. REPORT OF TWO BURN VICTIMS UP THE STREET -- TWO REFUSALS. 2 AERIALS UP, OPENING EVERYTHING UP BY 9:38 PM. CV274 ASSIGNED TO SETUP AT 76TH ST AND MAY ST.
FIRE UNDER CONTROL. PRIMARY SEARCH NEGATIVE, SECONDARY SEARCH UNDERWAY BY 9:43 PM. STILL AND BOX STRUCK OUT AT 9:48 PM ON ORDERS OF 225. 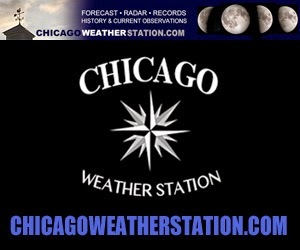 FIRE INITIALLY REPORTED AS 4323 N CENTRAL PARK CHICAGO, IL. E124 AND TRUCK CREWS ON ARRIVAL REPORTS THEY HAVE AN ALLEY GARAGE ON FIRE AT 2:43 AM. BC10 REPORTS A COACH HOUSE, 25X30. BC10 REPORTS A LINE ON THE FIRE AND PRIMARY SEARCH UNDERWAY AT 2:50 AM. AMBULANCE NEEDED AT 2:51 AM -- A46 ASSIGNED. ONE VICTIM, LADDER TO THE ROOF, AND TWO LINES LED OUT BY 2:53 AM. ONE MALE VICTIM, AGE 4, TRANSPORTED WITH 2ND DEGREE BURN OVER 75 PERCENT AND SMOKE INHALATION. STILL AND BOX ALARM AT 2:46 AM. STRUCK OUT AT 3:01 AM. MABAS DIVISION 25 BOX ALARM ON BOX #5101 FOR A STRUCTURE FIRE (LIQUOR STORE). HEAVY FIRE IN A LIQUOR STORE. REPORT OF ONE VEHICLE IN A DITCH, AND A POSSIBLE HIT-AND-RUN. E36 CREW ON ARRIVAL REPORTS ONE CRASHED VEHICLE ON THE SCENE. MULCH AND BRUSH FIRE AT HOMER TREE SERVICE. MULCH FIRE SPREAD WITH HIGH WINDS. ADDRESS ALSO LISTED AS HOMER TREE SERVICE, 16464 W 143RD ST LOCKPORT, IL. BC12 REPORTS THEY HAVE A FIRE ON THE SECOND FLOOR, HANDPUMPS AND LEADING OUT WITH A LINE, AND PRIMARY SEARCH UNDERWAY BY 12:29 PM. A3 BEING USED ON THE SCENE. FIRE IS OUT BY 12:37 PM. ONE VICTIM TRANSPORTED CODE 3 BY A3. A48 BECOMES RIT AND A33 IS NEW STANDBY. BICYCLIST EASTBOUND ON ALLEN RD HIT PASSENGER SIDE OF 2009 HONDA CRV HEADING SOUTHBOUND ON WALKER RD. NO STOP SIGN ON ALLEN RD. STOP SIGN ON WALKER RD. DRIVER OF HONDA TICKETED FOR FOR FAILURE TO YIELD. MABAS DIVISION 24 BOX ALARM ON BOX #24-10 FOR A SEMI-TRAILER TRUCK FIRE. BC19 REPORTS A MEDIUM PRESSURE GAS LINE IS LEAKING; GAS COMPANY ON THE SCENE BY 9:11 AM.